We are in Gorlitz, a quaint and beautiful city at the easternmost border of Germany. The Barefoot Artists have been invited here by a group of local artists who come together under the auspices of Bohemian Crossings. Gorlitz has long been a crossing point – today it forms the boundary with Poland and for centuries was a hub on major trade routes within Europe. 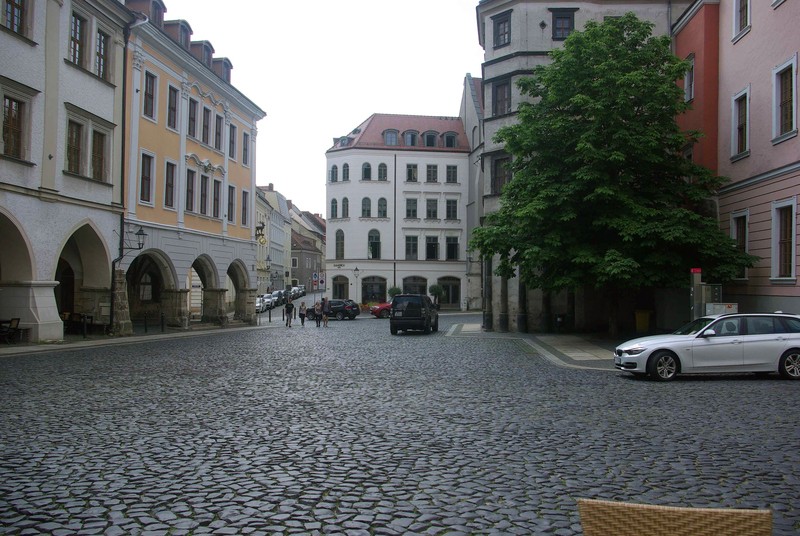 It is a place whose vast historical heritage is still visible today with cobble-stone streets and architectural styles dating from as early as the middle ages. 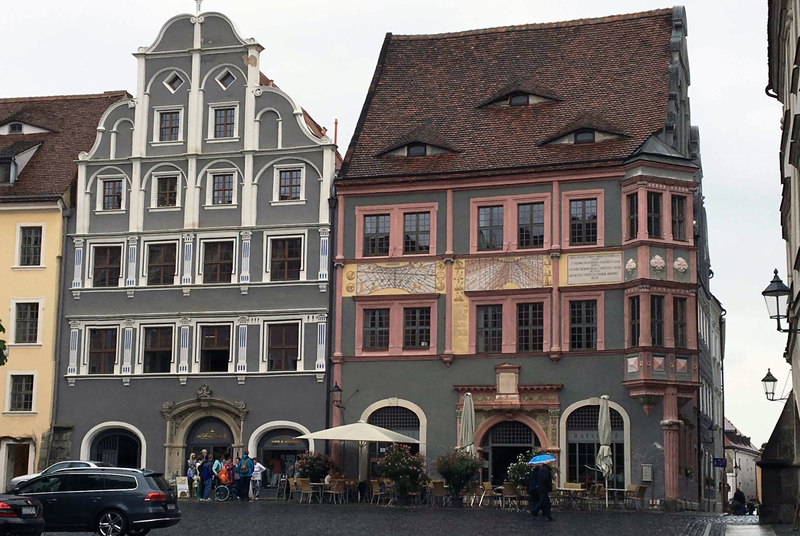 Though the exterior of Gorlitz reveals a rootedness in the past that most German towns no longer display, there is a shadow side to this city that can be seen and felt behind the many colorful and ornate facades. Its people have known many hardships, most recently occupation and oppression under communist-rule. High unemployment, dwindling populations and rows of abandoned or decaying buildings perhaps speak to the forced obliteration of history and loss of identity which they experienced. The Barefoot Artists are here as a response to the call from the local and international artists who work together to bring the memory and the cultural heritage back to the people here, many of whom have forgotten the soul of Gorlitz. 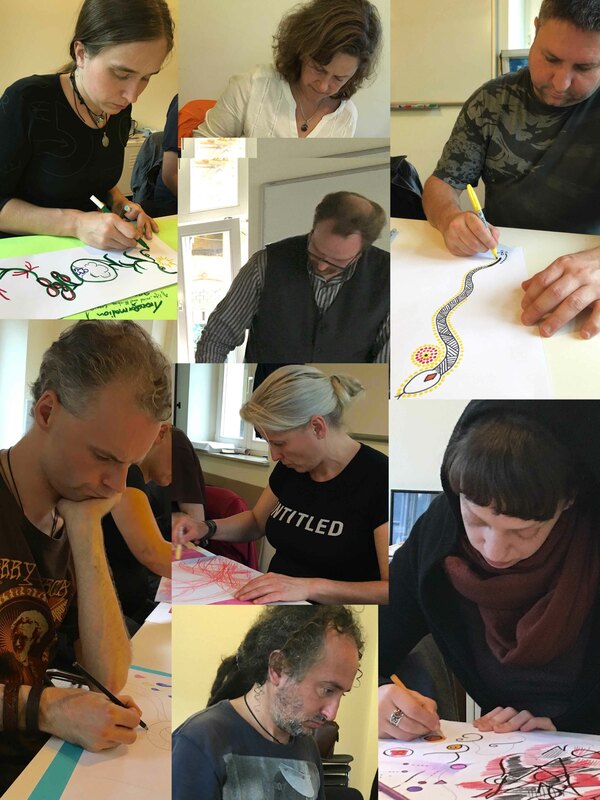 We hope to share the Barefoot Artists methodology with Bohemian Crossings so that this team of artists, with their own languages and sensibilities, can learn to work together and bring the creative potential to their communities. Gorlitz Gray is a poem that three team members wrote on the first day of our workshop and beautifully describes the darkness that is present alongside the beauty of this alluring and mysterious place. Awaiting a strong enough wind. A wounded beauty which walls itself behind inertia. This gray belongs to Gorlitz. And in the heads of its people. A mysterious window awaiting the knock that will turn it to door.